TimeZone : German Brands » Any info on sothis? Still in business? Quality? 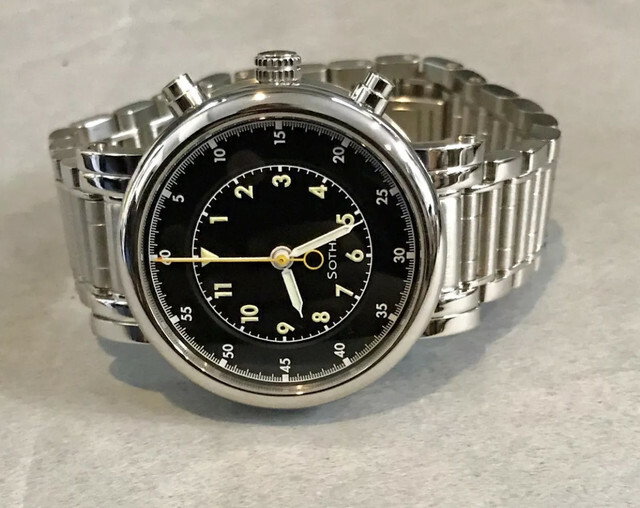 Just got this center chrono for me and my wife to share (I let her pick my next purchase as she likes men's size watches) anyway I love the clean look and legibility but since I have not received it yet I am wondering about build quality. I have read it is exceptional and now Jorg schauer owns the brand. Wanted some opinions and pics maybe. I'm really excited to finally have a Watch she likes (most of my pieces are to my taste). they have a fully functional web page (Google is your friend). I'm not having a lot of luck making the link to Jorg, but if he is involved, I'd have a lot of initial confidence. No other information, I'm afraid. I noticed a while back that the only AD that operates in the USA that sold both Sothis and Temption watches no longer carry these brands. I also have been keeping an eye out on the Sothis websites for any new updates, and I am not sure about Temption but the Sothis site has not been updated in years. After Wolfgang Steinkrüger the man behind Sothis watches passed away in 2010 I assume that the new owners no longer have an interest in investing in the company, and I think Temption is going down the same path I may be wrong. I posted the same question on another forum but got no reply whether Sothis is selling whatever stock they have left and then packing it all up? This is really a shame both brands design unique watches exquisite in style and quality, I own a Sothis Quantieme Spirit Of Moon and get many compliments.